I was recently at my local Walmart when I spied a large end cap display of mason jar candles from The Candle Cottage. A new brand at Walmart? Exciting! There were a good 15 or so scents to choose from but I stuck to two fragrances just to test out. If I end up liking both, I can always go back for more. Want to point out, I didn’t take a picture of this candle thinking I would find it online. I didn’t. So no candle to visually reference. Sorry. All I can tell you is it’s a standard size country mason jar which are pretty universal. 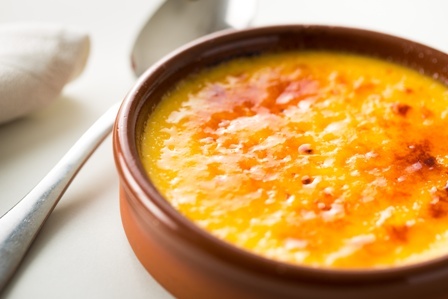 Crème Brulee was one of the two I chose and boy did it smell delicious… a creamy and sweet vanilla custard. YUM!!! A delectable fragrance blend of creamy caramel and rich vanilla heightened with soft tones of gentle cinnamon. A true dessert fragrance experience. Mmm!! Creamy caramel – check! Rich vanilla – check! Cinnamon – not smelling it on cold sniff but we shall see once the candle is lit. If it’s not present, I’ll be okay with that. The aroma I smelled was perfect just as it was. I stuck to my small powder room to test this candle in and boy was it a perfect call. I wanted maximum scent throw and definitely got that in a small room. Once the wick was lit, it took a good 20 minutes to reach a full melt pool and from then on out, a creamy caramel custard filled my bathroom! The caramel definitely stood out the most and all on a bed of creamy vanilla. Even though the aroma wasn’t super strong, it was still a heavy bakery scent if that makes sense. Or maybe dense would be a better word. I never did smell cinnamon in the mix. Just caramel and vanilla and it was very sweet and decadent. Strength – I would rate this candle a 6 out of 10 in a small room. Not sure I would attempt to burn it in anything larger if you want to smell the aroma. If you do try it, go with two candles burning at once. This candle burned pretty good. I did have to stay on top of wick trimming before each lighting or the flame would get a little too high. Other than that, clean and even burn from start to finish. 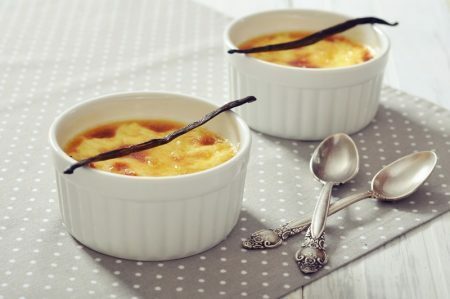 I enjoyed Crème Brulee and could see myself purchasing it again down the road. If you love super sweet bakery scents, check this candle out next time you’re near a Walmart store and see for yourself. You may end up walking away with one. It was pretty decadent.